Set in Barcelona during the 1920s, the book opens in 1945, telling the story of the Cemetery of Forgotten Books, a place where out-of-print books are kept. The place is hidden and few know about it. The ten-year-old Daniel is one of the those few who know about this place. Daniel’s mother died when he was a little boy, and his father who runs a bookshop, raised him up. One day to distract his son from thinking of his mother, Daniel’s father takes him to the Cemetery of Forgotten Books. Daniel was mesmerized by this experience. 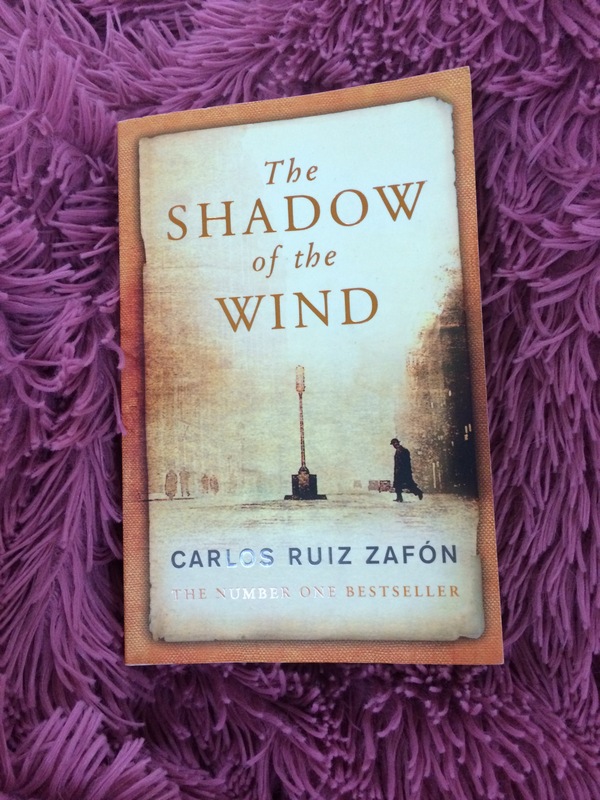 His father told him that it is a tradition that anyone visits the cemetery should pick a book and saves it…metaphorically, “renewing the lost life of the book.” Daniel chooses a novel titled “The Shadow of the Wind” written by a writer named Julián Carax. Daniel read the novel and loved it. He tries to know more about this unknown author. From this point, the mystery of the story evolves. The story follows from this point Daniel’s journey, which spreads over a decade, to reveal the truth behind this book and its author. Through pursing the mystery of Carax, supposedly killed in Barcelona at the start of the civil war, Daniel learns of the strange disappearance of all of Carax’s novels, except for his own copy and several others in the Cemetery. For years, a man who gives himself the name of a Carax character has bought up and burned them in a series of small fires, and finally in a conflagration that destroys the publisher’s entire warehoused stock. As the story unfolds, many events overlaps and the lives of several character interlock in a brilliant way. The final revelation is wittily crafted. This brilliant story is not just a mystery book. I cannot put it into one category: it is thrill, history, mystery and a coming of age story. It is a story of love, loneliness, separation, war and literature. It also gives us historical glimpse of Barcelona and its political turbulence . Throughout the book, many important themes are discussed. One of the prominent themes discussed in the novel is the theme of war, and its fatal consequences on the modern man. The story also tackles the typical themes related to the 20th century, but in a more interesting way. In this mystery, we learn how loneliness and separation could destroy the human soul. All the characters in the book suffer from some sort of separation or loneliness. The world is harsh, but the author shows us through Daniel’s quest, how we can still celebrate the little happiness in our daily life. Love and friendship can conquer the ghosts of loneliness that eat us alive. Though the story has layers of stories, the plots still remain intact. The novel is a literary masterpiece whose main adventure of the book actually stems from a “literary curiosity” of the young Daniel. Books are essential part of our lives and as William Nicholson says, “We read to know that we are not alone.” The Shadow of the Wind is full of symbols. The title itself “Shadow,” is very meaningful: it is a reminder of the things we are missing in our life and whose presences are so persisting. Through restoring the “lost” soul of the book through loving them, we could restore our and others’ lost souls through love and friendship.